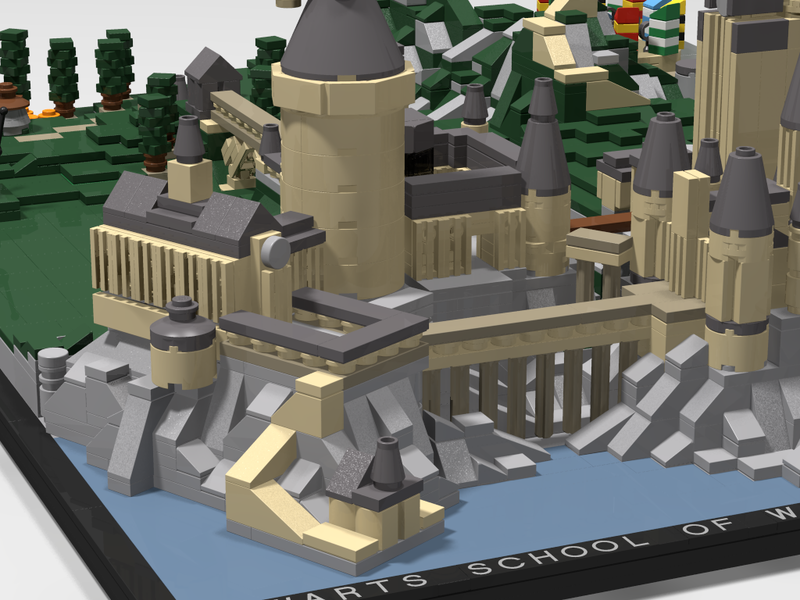 ﻿This is a small scale model of Hogwarts castle from the Harry Potter film series. 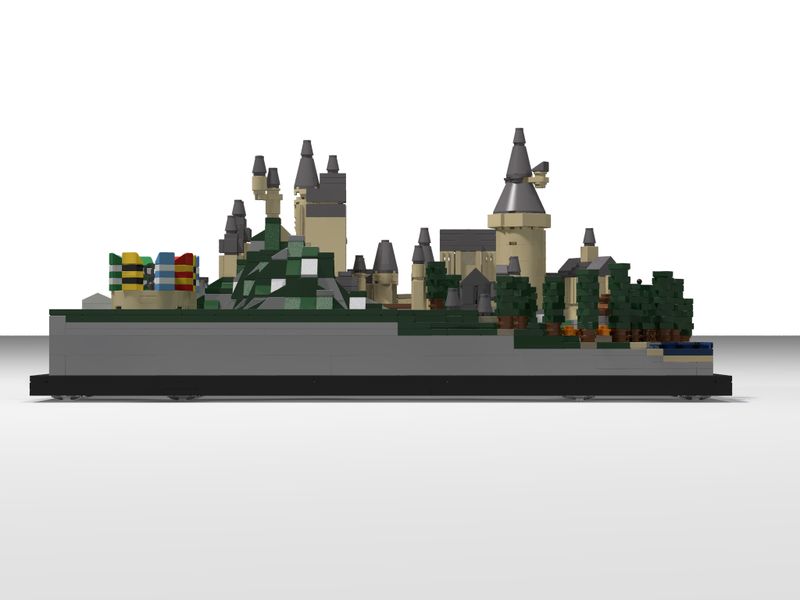 I modeled this after the large model at Warner Bros. Leavesden Studios. 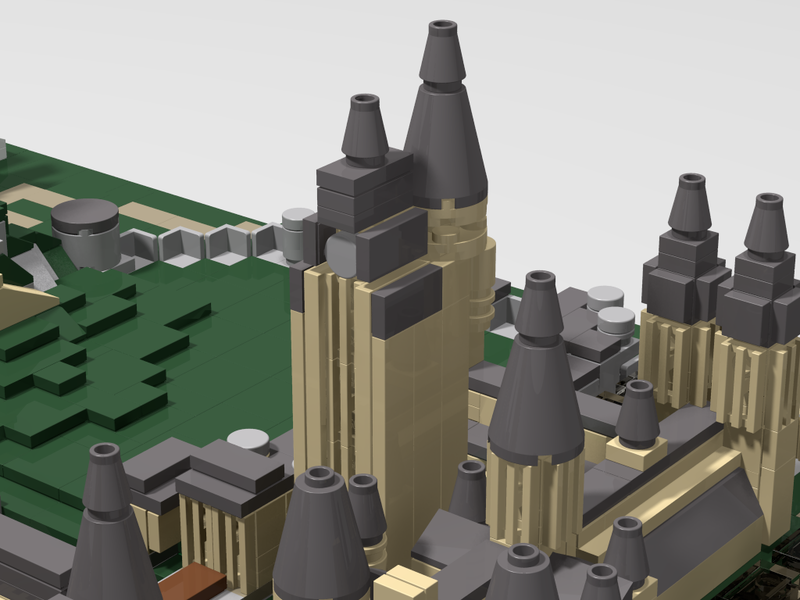 This model resembles how Hogwarts looked in the 6th, 7th (although it wasn't actually seen here), and 8th movies. 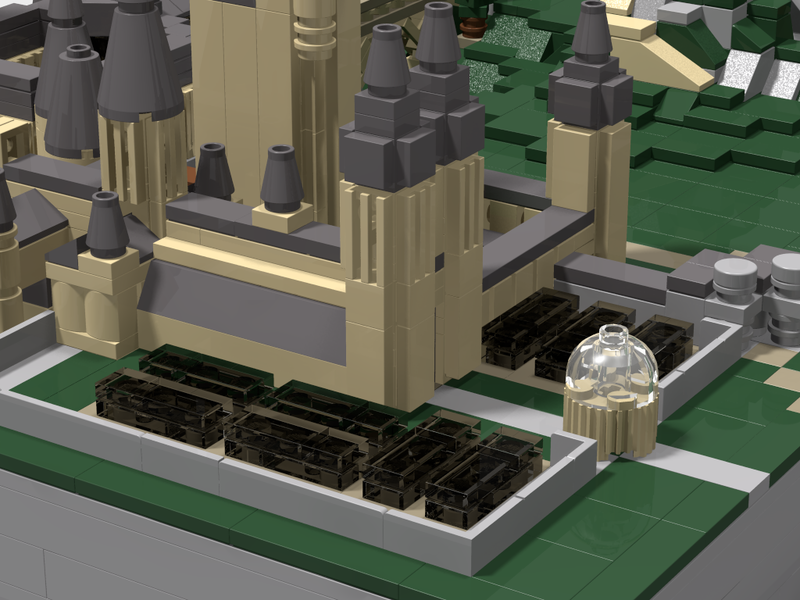 The model does lack the long bridge that appeared in the 8th movie, as I chose not to include it. 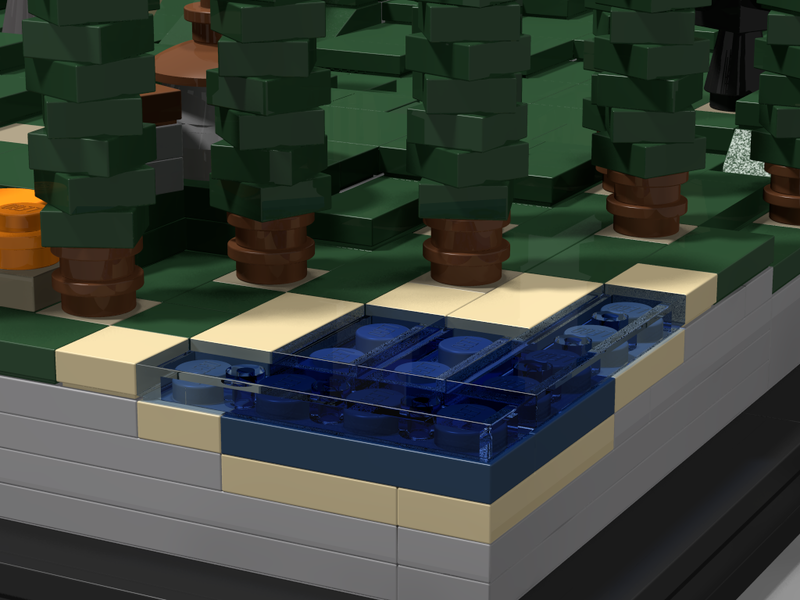 This is due to the fact that there is no landmass for the bridge to connect to on this model, and the model would have to be much larger for me to include that part of the shoreline. 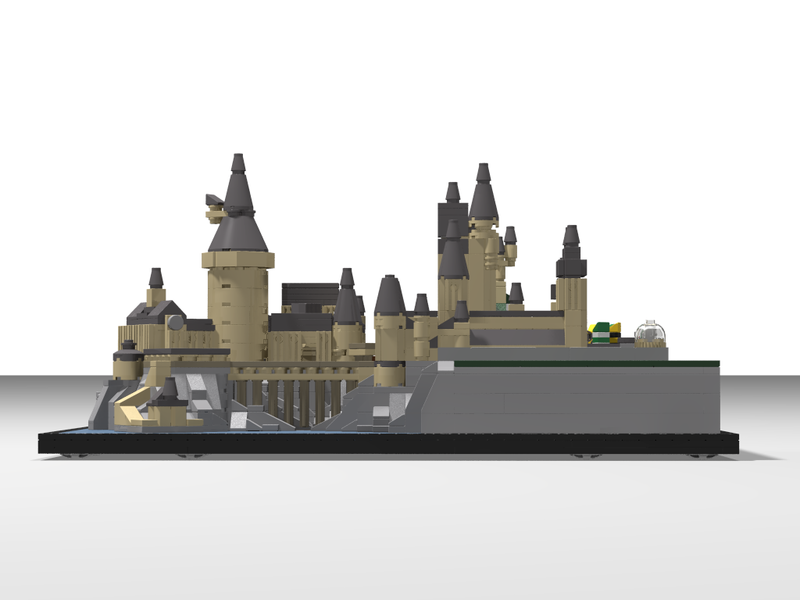 This model has all the features of the castle, as well some other structures that are on the Hogwarts grounds. 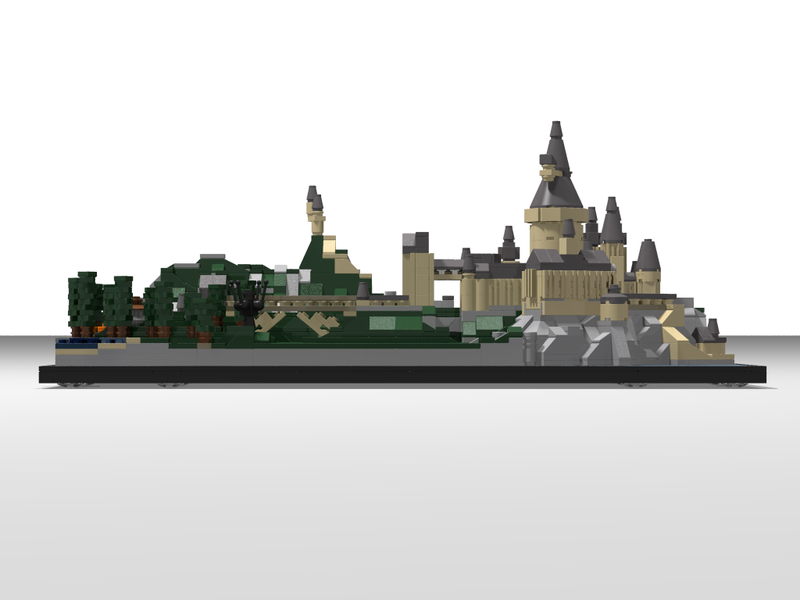 These are the quidditch grounds, Hagrid's hut, the owlery, the forbidden forest, the whomping willow, the pond in the forbidden forest where Harry conjured a patronus, and the boat house. 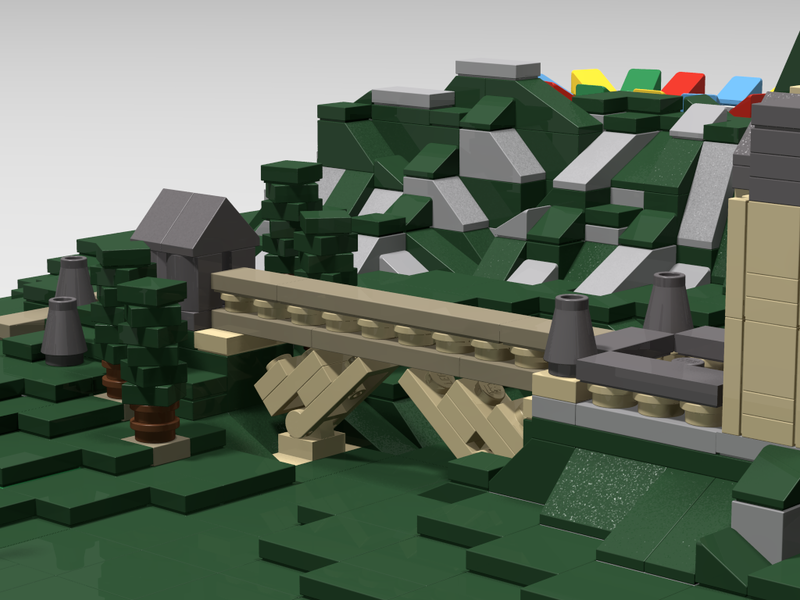 I started working on this model a several months ago. 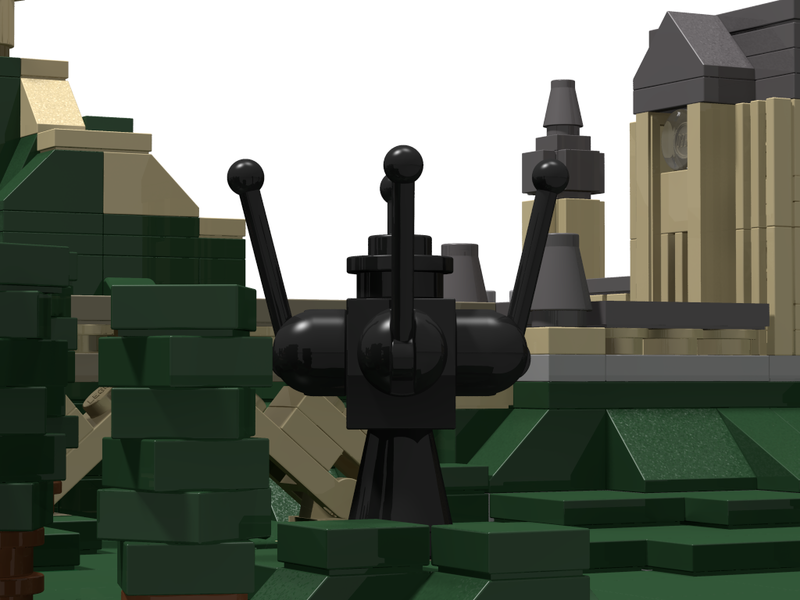 The new Fantastic Beasts movie was about to be released, my family had decided to rewatch the original Harry Potter films. 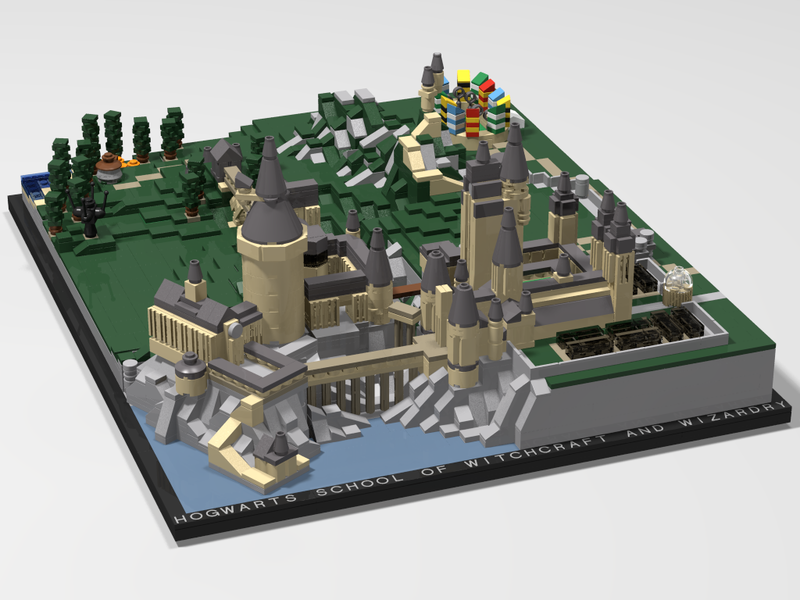 While watching them I decided that it would be cool to have an accurate Lego model of Hogwarts. 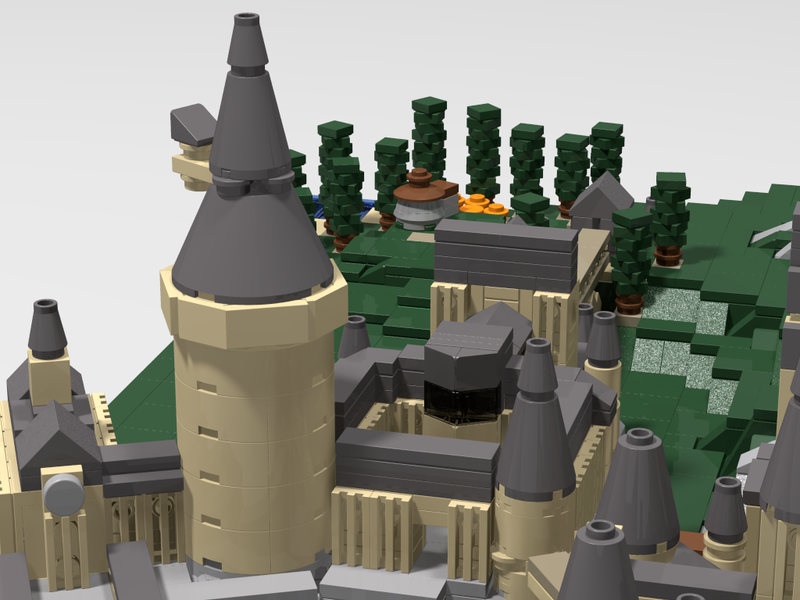 I quickly found that I didn't have enough pieces in my collection to build a model that looked as good as I wanted it to, so I downloaded Lego Digital Designer and started working there. 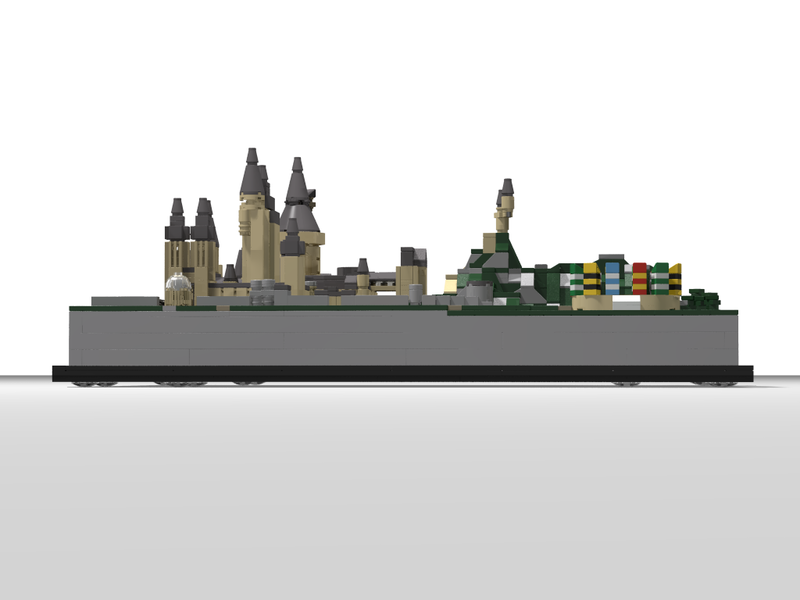 It took about two weeks to complete (although I am still changing things as I find better ways to build them). 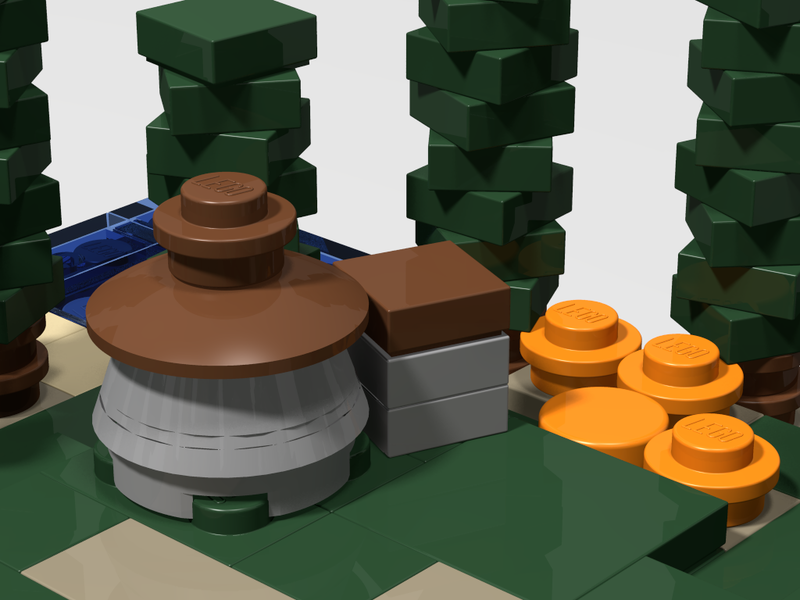 Note that when building this MOC you will sometimes have to use lego brick 26604 where the instructions say to use brick 87087. 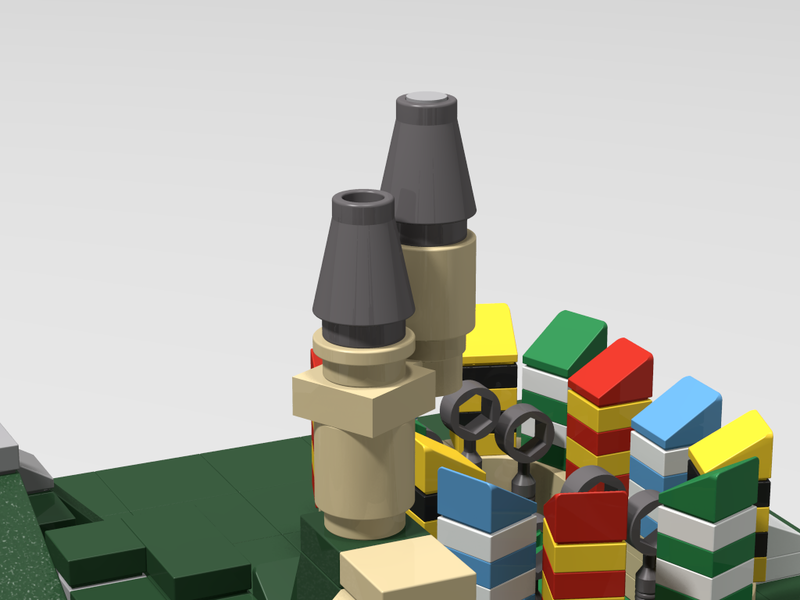 This is because LDD and the other LEGO design programs I have do not yet include part 26604. 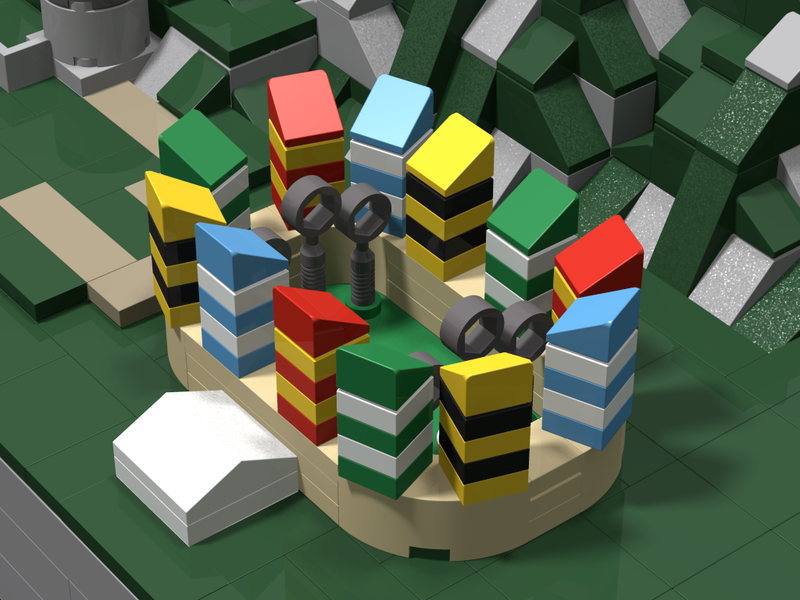 The places where 26604 should be substituted for 87087 are at the top of the Great Staircase Tower, and on the Bell Towers.